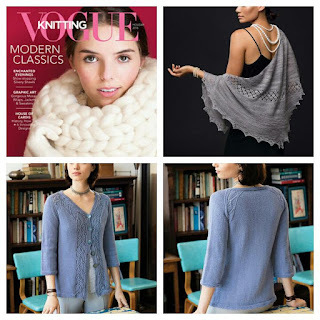 The Holiday (Christmas) issue of Vogue Knitting is here! Last year I had a beautiful beaded shawl on the cover of this issue (read about it). In this issue I have two patterns. 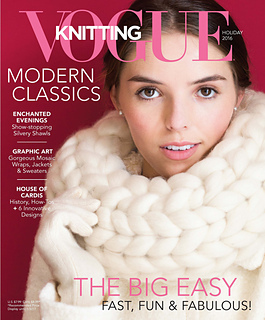 Vogue Knitting is called Designer Knitting in the UK and last year the Holiday issue was called 'Early Winter'. This beautiful shawl is worked sideways as an asymmetrical triangle in the luscious Jade Sapphire Cashmere 2ply. I love this shawl. The yarn is incredibly soft and luxurious and the shawl is worked in garter stitch with some beautiful simple lace. Below is the four shawls in this 'story' of the magazine. My shawl is second from the right. My second pattern is a simple yet elegant cardigan. There's a beautiful lace pattern running up along the fronts of this cardigan and I've used a smaller, mirrored version of the main lace pattern for the ranglan shaping. The cardigan is worked in one piece so there's no sewing up to do. 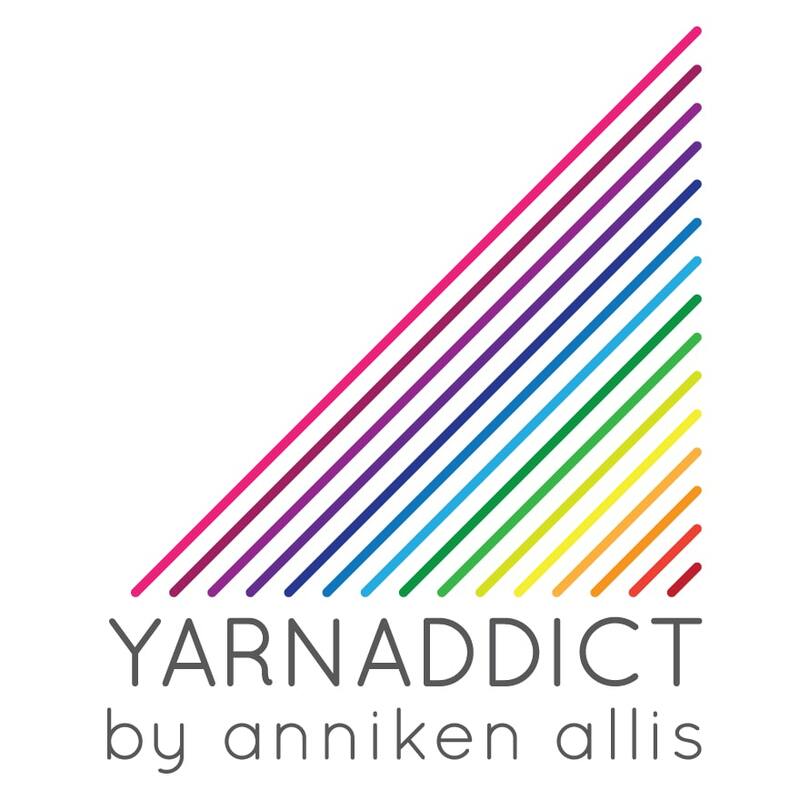 The yarn is Milla Mia which has been a favourite of mine since it was first launched. The body is worked flat to the underarm, the sleeves are worked in the round to the underarm. The sleeves and body are then joined and worked together for the raglan shaped yoke. 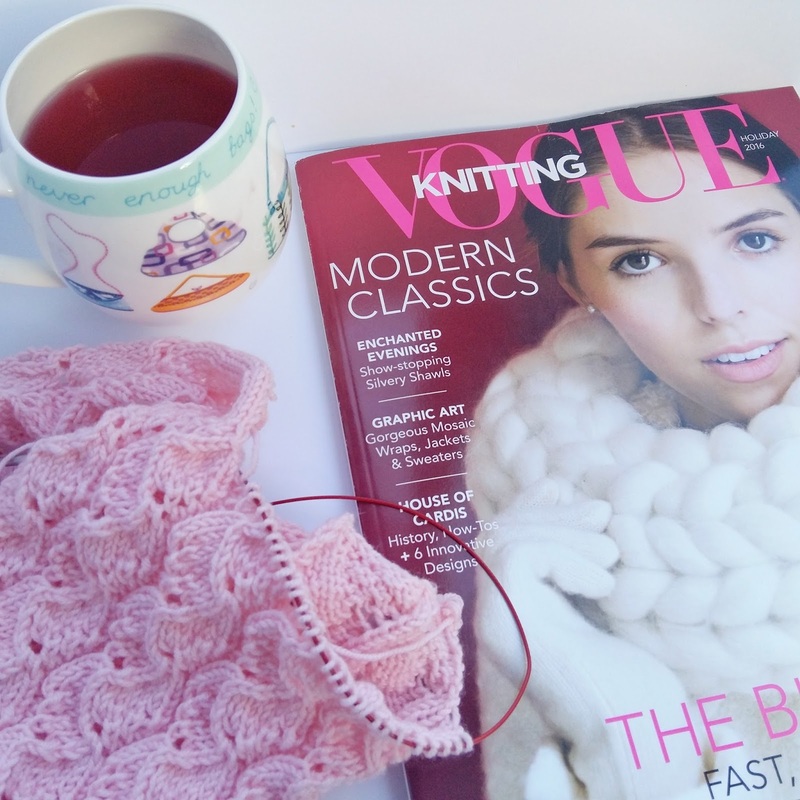 My copy of Vogue Knitting arrived this week and earlier in the week I sat down to read it. There's lots of beautiful designs in this issue as well a some really interesting articles. If you're in the UK, look out for Designer Knitting Early Winter.